When you watch as many independent films as I do, you know you're going to come across a few weird ones. Jesus Henry Christ may take the cake though, as it was really out there. 10 year old Henry Herman (Jason Spevack) is a genius, with one of the highest IQ's ever recorded. This genius was actually a test tube baby, and his lifelong goal has been to find out where his genius comes from. It's certainly not from the Herman family, which is the definition of a dysfunctional family, so whoever it is, has to better than them. Henry will come to discover that his father is a college professor, who wrote a book about how to condition your children to be gay from birth. He has a sister too, who thanks to her father, is the laughing stock of her whole school. When the two halves of Henry come together, hilarity ensues in this screwball comedy. Young Jason Spevack stars, and while he's just a kid, his character was super annoying. If you hate people who think they are smarter than everyone, try watching a kid who knows he's smarter than everyone. Thankfully, there is more to the movie then the musings and rambles of young Henry. His Grandfather and half-sister are both hilarious, and easily are the best part of the movie. Unfortunately, they don't have huge roles, and the film is left with simply moments of hilarity. Overall, Jesus Henry Christ is a strange film, with a few funny moments, but generally it's pretty slow and uninteresting. Toni Collette of Sixth Sense fame is the only person of recognition in this cast, but her role was so insignificant, that she doesn't do much to help an otherwise young and inexperienced cast. 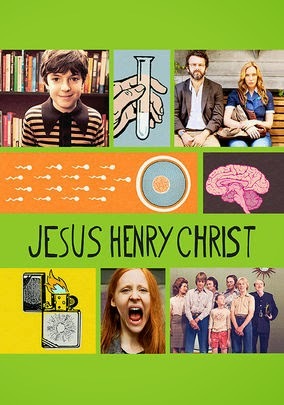 While it's not a bad film, Jesus Henry Christ isn't great either. It has it's moments and the story is somewhat interesting, but unless the storyline interests you, I would go ahead and skip this one.